Able Hearing Centers proudly partners with these state-of-the-art hearing Instrument companies to provide you with the finest hearing aid that will meet your specific needs. 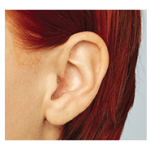 Behind-the-Ear (BTE) hearing aids consist of a hard plastic case worn behind the ear and connected to a plastic earmold by a piece of clear tubing. The electronic parts are held in the case behind the ear. BTE aids are used by people of all ages for mild to profound hearing loss. A completely-in-canal (CIC) hearing aid is nearly hidden in the ear canal. CIC hearing aids are used for mild to moderately severe hearing loss. 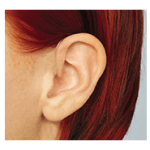 Because CIC hearing aids are small, canal aids may be difficult for a person to adjust and remove. In addition, CIC canal aids have even less space available for batteries and additional devices, such as a telecoil. They usually are not recommended for young children or for people with severe to profound hearing loss because their reduced size limits their power and volume. 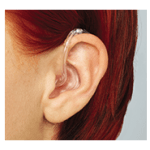 Receiver-in-Canal (RIC) hearing aids consist of hard plastic case worn behind the ear and connected to a plastic earmold by a thin electrical wire. Most of the electronic parts are held in the case behind the ear, however the speaker rests in the ear canal, allowing for cosmetic advantages (eg: smaller case) and acoustic advantages. RIC aids are used by people of all ages for mild to profound hearing loss.